Sunday offertory envelopes for 2019 will be prepared within the next few weeks. If you have had a change of address, it would be appreciated if you would call the office (653-6830) and let us know. 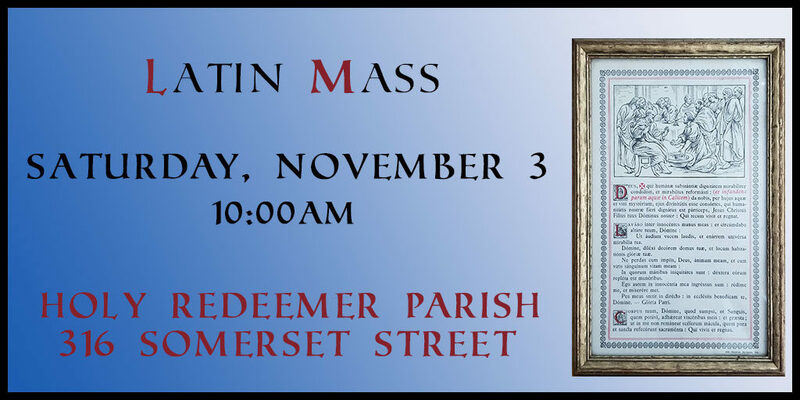 Join us for First Saturday Latin Mass at Holy Redeemer Parish. A meeting for the three CWL councils from the former Holy Trinity, St. Pius X and St. Peter’s parishes will be held on Monday, November 19, 2pm, in the Holy Redeemer parish hall. All members welcome to attend. 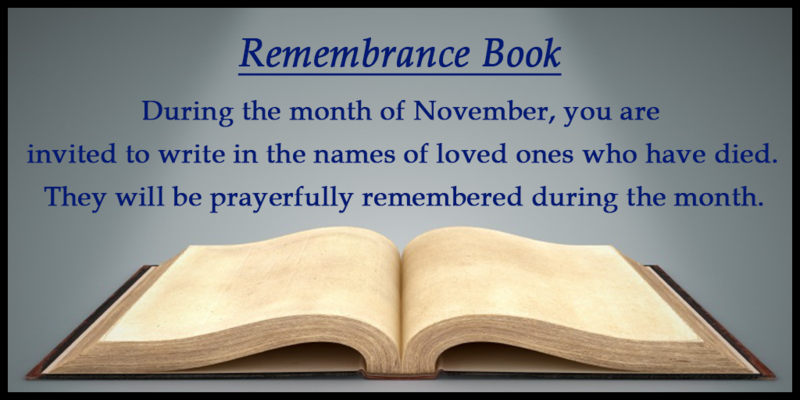 Our Remembrance Book will be located beside the Tabernacle during the month of November. The next Friday Night Auction 45s Card Party is tomorrow, October 26, 7:30pm. Cost: $3/person. Games are held on the second and fourth Friday of each month. Everyone is welcome. 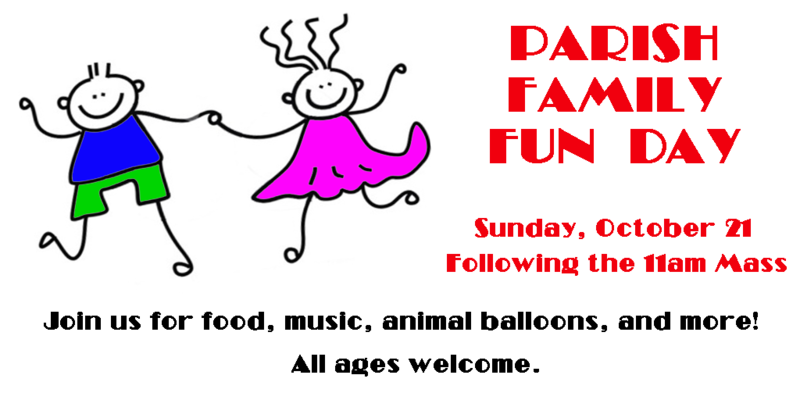 Join us tomorrow our annual Fun Day! A meeting will be held in the Parish Hall for parents, sponsors and Confirmation candidates on Sunday, October 21 during regular class time, 6:30pm – 7:30pm. Please bring a recent photo (no bigger than 5 x 7) of the student who is asking to be Confirmed in their Roman Catholic faith. A meeting for the three CWL councils from the former Holy Trinity, St. Pius X and St. Peter’s parishes will be held today, Monday, October 15, 2pm, in the Holy Redeemer parish hall. All members welcome to attend. The next Friday Night Auction 45s Card Party is tonight, October 12, 7:30pm. Cost: $3/person. Games are held on the second and fourth Friday of each month. Everyone is welcome. We thank all participants and workers for taking part in our Jubilee 649 Draw which began on October 6. We welcome all first time players and wish all participants good luck. We would also like to thank the 649 Committee for donating $3,151, enabling the parish to pay Legacy Masonry for the recent work completed on the upper front of the church.